Where’s My Water? is Amazing! Where’s My Water? 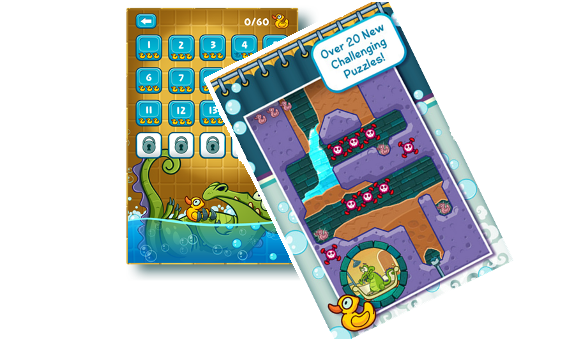 is a fun, simple – yet exciting – physics-based puzzle game featuring Swampy the Alligator and a quest to take a shower. [blockquote cite=”Swampy’s story”] Swampy is a name of the alligator that lives in sewerage. Unlike other alligators, he’s smart and sociable, and likes to take shower after a long working day. But other alligators are trying to bother him and ruin sewerage system. But you can help Swampy by leading water to his shower. There are eight chapters and more than 160 levels, so you can improve your skills! If you manage to collect shower items, you’ll get some tips and extra levels! Mind that new free levels are updated regularly. [/blockquote] [blockquote cite=”Cranky’s story”] Cranky is Swampy’s antipode and he is hungry as a hunter after every ruining water supply for good alligator. Cranky likes only junk food and leftovers, but can’t stand vegetables. Your aim is to feed Cranky, keeping in mind that his food is covered with algae, which has to be cleaned off (use dirty water for this). In the app, players guide water through subterranean layers of earth into Swampy’s tub. 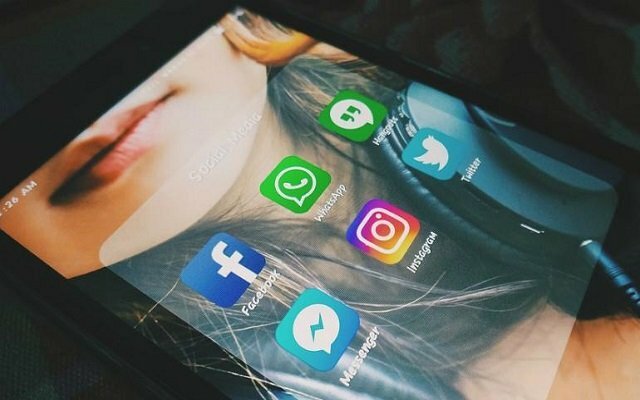 With more than 140 levels and features such as lifelike water physics, richly detailed graphics, achievements, and humorous special effects, the game is one of the top-rated and top-selling apps available today. 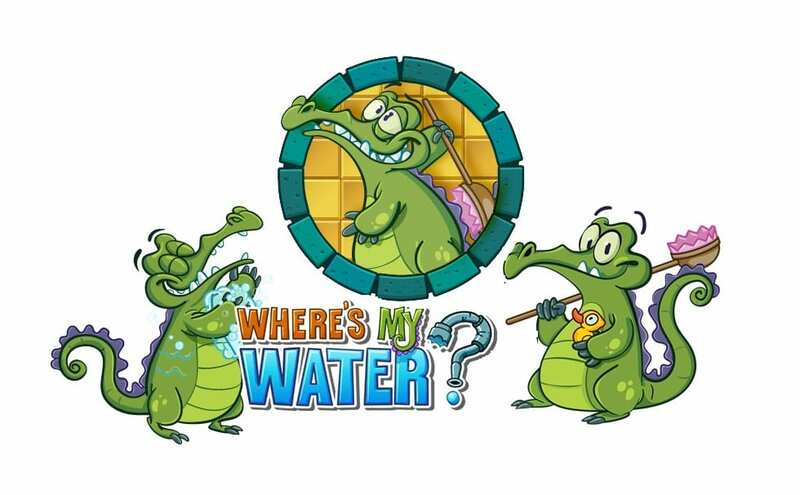 Since its launch, “Where’s My Water?” has been No. 1 in 30 different countries. Where’s My Water? is available in both Free and Paid version for iPhone™, iPad, iPod touch™ and Android™. 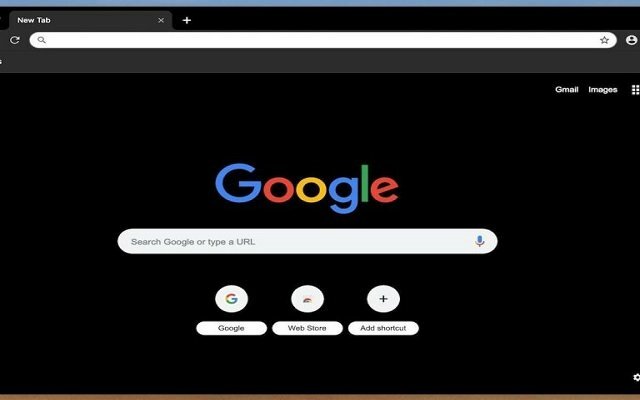 The fun is just beginning. Swampy’s pipes are broken and it is up to you to get the water flowing again through four themed chapters, each with 20 challenging levels. Keep playing! New chapters are included in free updates. 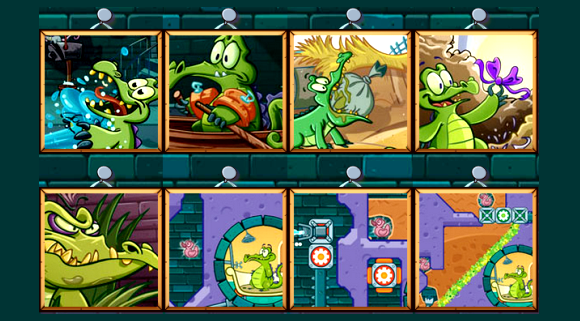 Collect Swampy’s shower items to unlock bonus levels. Look for rubber duckies and tap around for even more surprises!